The Multiple Tool Holder provides quick and easy organization of screwdrivers, pliers, and other tools. This Gladiator Golf Caddy organizes your golf equipment so you're ready to hit the links at a moment's notice. There's plenty of room for two oversized golf bags. The lower shelf is ideal for golf shoes. 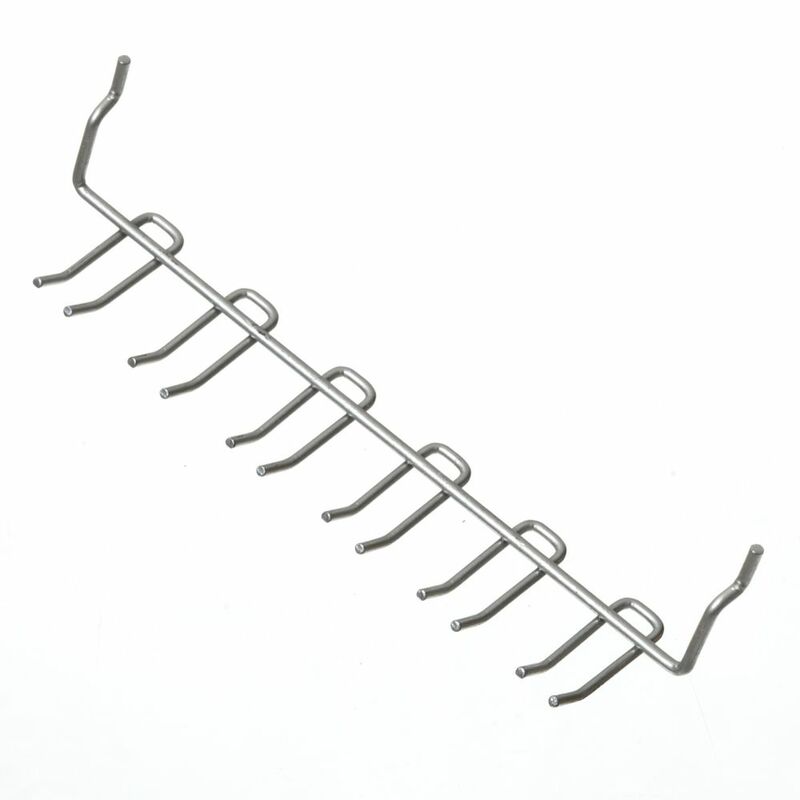 Designed for use on Gladiator brand GearTrack channels and GearWall panels, it can be hung easily, and repositioned simply, as often as needed. A lifetime limited warranty provides peace-of-mind that it is built-to-last. This Gladiator Garage Storage Bin Holder lets you store totes, recycle bins and coolers on the wall, instead of on shelves or the floor. Designed for use on Gladiator brand GearTrack Channels and GearWall Panels, it can be hung easily and repositioned simply, as often as needed. A lifetime limited warranty provides peace-of-mind that it is built-to-last. Multi Tool Holder The Multiple Tool Holder provides quick and easy organization of screwdrivers, pliers, and other tools.